Not to go elementary on you, but our speakers will breakdown the fundamentals of their research in three unique topics: baseball science, robotics, and communicating climate change. Join us for our second night at Cage Brewing in St. Petersburg to meet some local scientists and the work they’re doing to make St. Pete a better city. Science and Technology in Baseball - Over the past decade, technology has allowed for the measurement of detailed information on what happens in a baseball game, ranging from the spin of pitched baseballs, exact trajectories of home runs, and the motion of players on the field. We'll talk about this new information and how it impacts the game. About Will: Will is the Director of Research and Development for the Tampa Bay Rays. 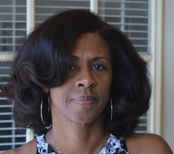 About Sandra: Dr. Jackson is a STEM Educator and the Director of the STEM INQ Innovation Lab at the USFSP College of Education. Her research interest focus on equity, gender, cultural identity in STEM education and STEM-related fields. Public Controversy Over Science: Lessons for Communication - Why is there a disconnect between scientists and the public when it comes to scientific issues like climate change, vaccine safety, and GMOs? How can we better communicate about science that has become publicly and politically "controversial?" About Joanna: Assistant Professor of Environmental Science at Eckerd College. I study public understanding of science, particularly for issues like climate change.